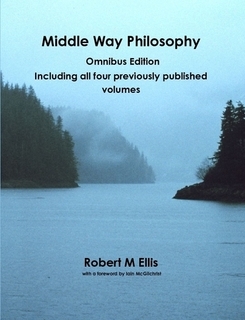 The Middle Way Philosophy series is the fullest academic presentation of Robert M. Ellis’s philosophy to date, described as “An important, original work” by Iain McGilchrist. It is a synthetic work, combining a full philosophical argument for the Middle Way approach with a detailed exploration of its implications for human belief and practice. 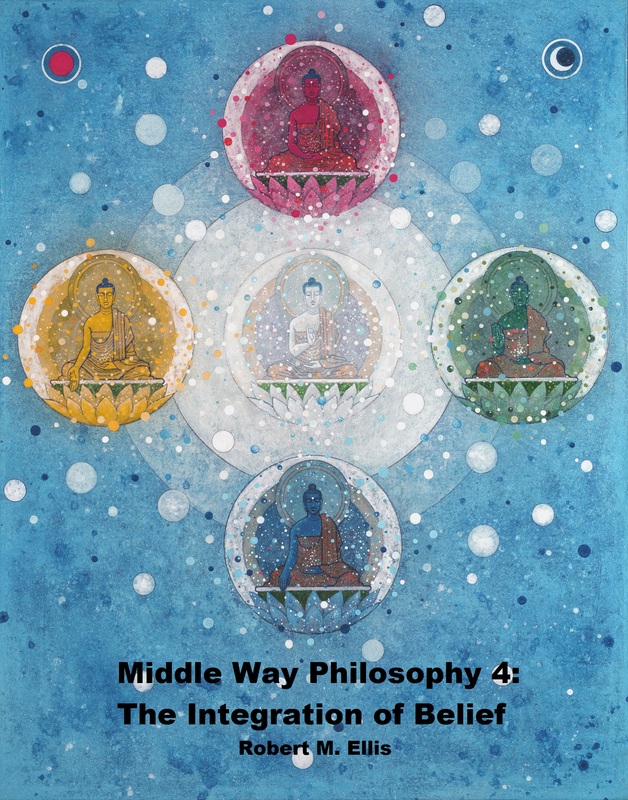 The four volumes of Middle Way Philosophy were written and self-published individually between 2012 and 2015. In 2015 they were also published together in one Omnibus Edition, which is available in both paperback and ebook versions. In recent years the Omnibus Edition has also been freely available in pdf form on Researchgate and Academia.edu. This online version is offered to provide a readily accessible reference. Online presentation also has some specific advantages. It allows the introduction of non-linear features, such as summaries that allow the reader to focus in on varying levels of detail, and cross-reference links. It also allows interactive comment and discussion on specific parts of the text. It is likely to take some time to get the whole text uploaded in this form, so there will be some delay whilst this part of the website is under construction. However, the whole series is already up at section level (click each volume, and you will see summaries of each section in that volume). Chapter summaries and full text pages are gradually being produced, working forward through the series. Click the headings for the next level of detail. 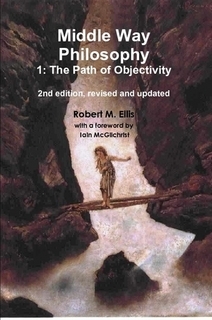 Volume 1 focuses on the philosophical justification of Middle Way Philosophy, including the roles of scepticism, provisionality, the Middle Way, objectivity, integration and justification. 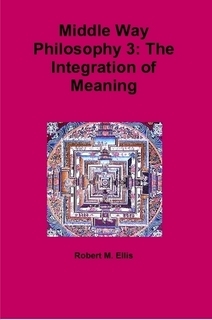 It establishes the differences between a Middle Way approach and other philosophical approaches. It concludes with an account of ethics and its justification. 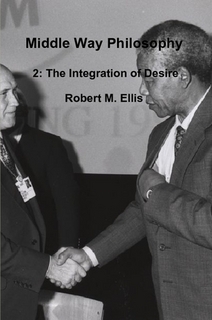 Volume 2 focuses on the ways that the Middle Way can help us to resolve conflicts of desire, both internal and external. It combines philosophy and psychology to explore the egoistic nature of conflict and the dialectical process required to overcome it. It also considers how conflict can be entrenched by ideologies, and offers a basic political philosophy justifying the role of government in resolving conflict. Volume 3 is concerned with the nature and implications of embodied meaning, which offers a profound challenge to absolute beliefs of any kind, showing them to be mistaken because they neglect the ways that we find things meaningful through our bodies. This book also explores how working with meaning is an important aspect of integrative practice, for instance in the arts, in the appreciation of archetypes without projection, and also at political level. Volume 4 draws on cognitive psychology and balanced sceptical philosophy to explain both how we can stuck in dogmas, and how provisionality is possible. It is argued that we make progress in resolving conflicts of belief, not by finding ‘truth’ or employing ‘rationality’, but rather through awareness of our assumptions in each new judgement. The book includes a wide survey of both cognitive biases and dogmatic philosophical beliefs, showing both their relationship and how they can be avoided through integrative practice.